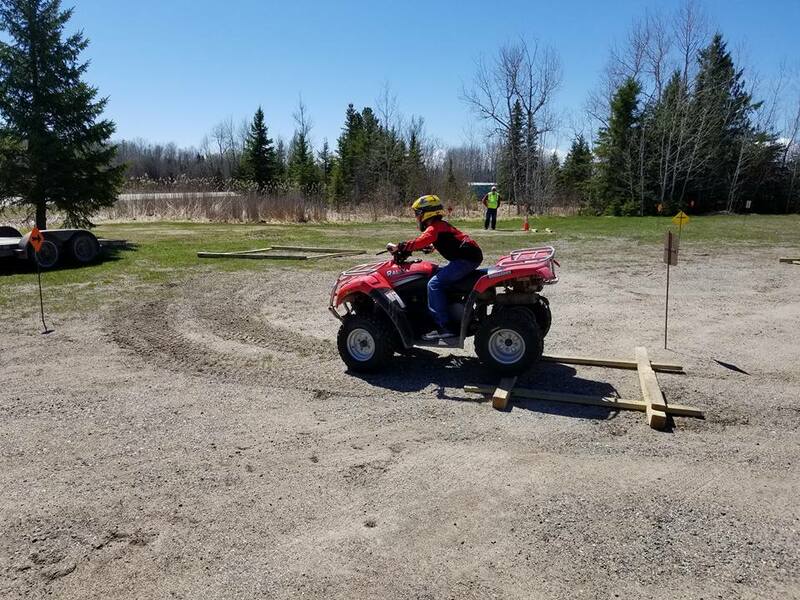 2019 Youth ATV training will be held in Bigfork May 4, 2019. Please see info below for how to register. Consider joining us to help develop and maintain ATV trails in our area. You can become involved by helping build boardwalks, clearing trails and in other ways. You'll find membership information here. ​The Bigfork - Balsam ATV trail is closed: Normal open dates for the B - B Trail are May 15 - October 31. With the wet fall in 2018 and all of the snow we received this past winter we are anticipating a wet spring with a possible delayed opening. A normal spring opening of May 15, 2019 may not be possible. Please check back here for information regarding our actual trail opening date for 2019. What happens in the off season? The Wilderness Wheelers ATV club will continue to work on trail maintenance. As weather permits, club members will be filling holes, removing stumps and rocks, repairing boardwalks and leveling the trail to prepare for the upcoming season. We will be holding the hands on MN DNR Youth ATV Training on Saturday in May 4th in Bigfork, Minnesota. See information at https://www.dnr.state.mn.us/safety/vehicle/atv/index.html for class requirements and sign up. Reminder: While riding on township and county roads the law requires us to stay to the far right hand side while using these corridors and obey all other traffic regulations. We also ask you to avoid ditch riding on this trail as we have to fix any damage caused by ATV use along our Bigfork to Balsam Trail corridor. Stay the Trail! ​Please check back regularly for current riding conditions throughout the riding season. Wilderness Wheelers is on Facebook.